I began training in the martial arts in 1977. My teacher was Sifu David Hobgood and our martial art was called Tai Lung – The Ultimate Dragon. Mr. Hobgood had studied Tae Kwon Do, a Korean martial art as well as several styles of Japanese Karate. His main interest, however, was in the Chinese martial arts (kung fu) including Tai Chi and Chi Gung. He formed the Tai Lung Kuen Tao style by blending together what he had learned from all the other styles, with the main influence being Chinese. Mr. Hobgood knew that Tai Chi would balance out the hard style of karate practice so he created a Tai Chi form for his students based on what he had learned of Tai Chi Chuan. I practiced Tai Chi at that time mainly because it was part of the requirements to achieve the Black Sash. It was much later that I realized the benefits that Tai Chi has to offer. I received my 1st degree Black Sash in 1980 and began my teaching career with Mr. Hobgood at his school, The Temple of the Ultimate Dragon, shortly thereafter. I received my 2nd degree Black Sash in 1983 and had built up a small following of students by then. While holding down a “normal job” working full time, I continued to teach classes in martial arts and Tai Chi. In addition to working full time and teaching when I could, I also continued my personal study. 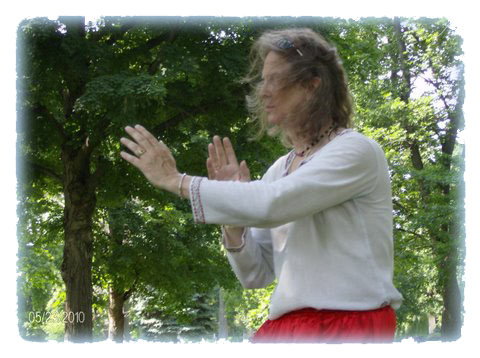 I began to understand that Tai Chi and Chi Gung had more to offer than I had imagined. I began to focus my study in these areas through books, videos, and seminars. I learned as much as I could and spent time meditating on what I was learning, seeking to understand the message. I suppose the rest of my life will be spent on this project. In 1996, I resigned my position at the “normal job” and restricted my work to part time while I increased my personal studies and teaching. Over the past few years, I have trained with Tai Chi Master Margaret Muskoph and Chi Gung Master Kenneth Cohen at their seminars in Ferdinand, IN. and St. Louis, MO. I have studied several styles of chi exercise programs through book and video formats. I feel that I have a natural ability to learn and understand as well as a talent to teach others in a way that everyone can follow on their personal level. 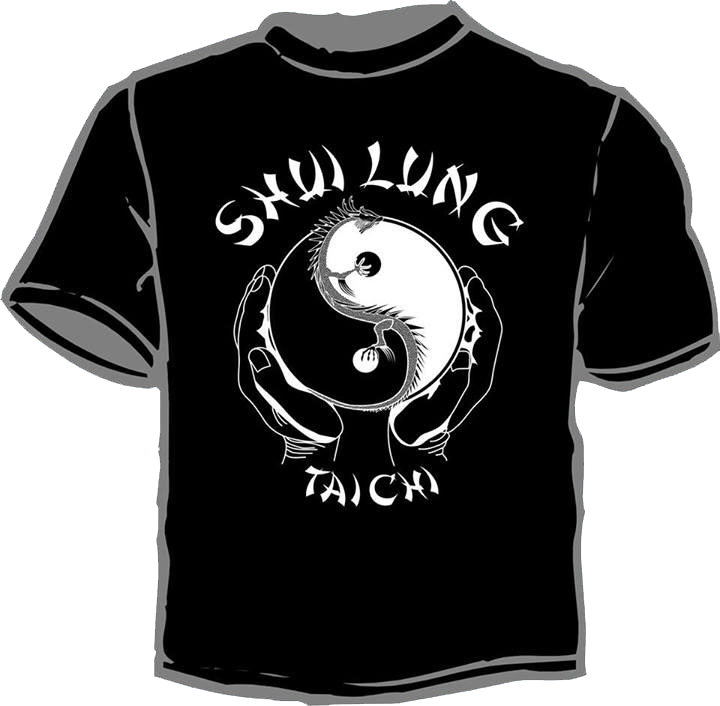 The name that I have adopted for my personal style of martial arts and Tai Chi is Shui Lung Tao. 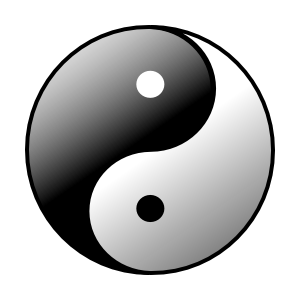 Shui – Water; Lung – Dragon; Tao – The Way. I am currently sharing Shui Lung Tai Chi at several public and private facilities in our area as well as a few private one-on-one sessions in Tai Chi or martial art. I also practice Reiki and offer sessions by special appointment. 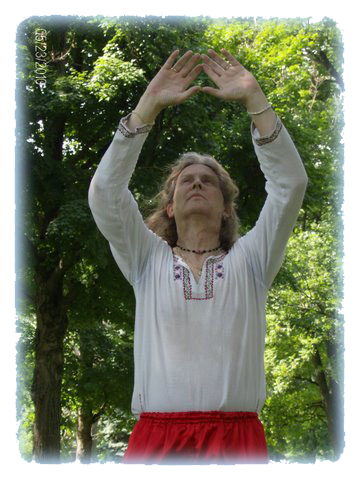 Reiki is a hands-on healing modality that helps to bring the body’s energy back into balance. Not only healing on a physical level, but also on the mental and emotional levels, Reiki approaches healing in an holistic way. I received my training from Reiki Masters Adelle Cottrell and Karen Yoe in 2004. $14.95 SM - XL. $16.82 XXL. Prices are before tax and S/H. Long sleeve prices slightly more. Order your T-shirt by calling Ron at 812-204-6980. Hosted by Allen Tate Computing Services · Powered by WordPress · Theme: Shaan by Specky Geek.